In 1911, Le Corbusier (1887–1965), then twenty-four and still going by the name of Charles-Edouard Jeanneret, embarked on a grand tour of Eastern Europe, Turkey, and the Balkans with his friend, August Klipstein (1885–1951), an art history scholar. Together, the two visited Prague, Vienna, Budapest, Bulgaria and Serbia, Constantinople, Mount Athos, and Athens, as well as Rome and Pompeii. Both young men kept detailed notebooks throughout their journey with drawings, sketches, and photographs created en route. While Le Corbusier’s notebooks were published in 1966 as Journey to the East and went on to attain wide renown, Klipstein’s records of their travels have remained relatively unknown. 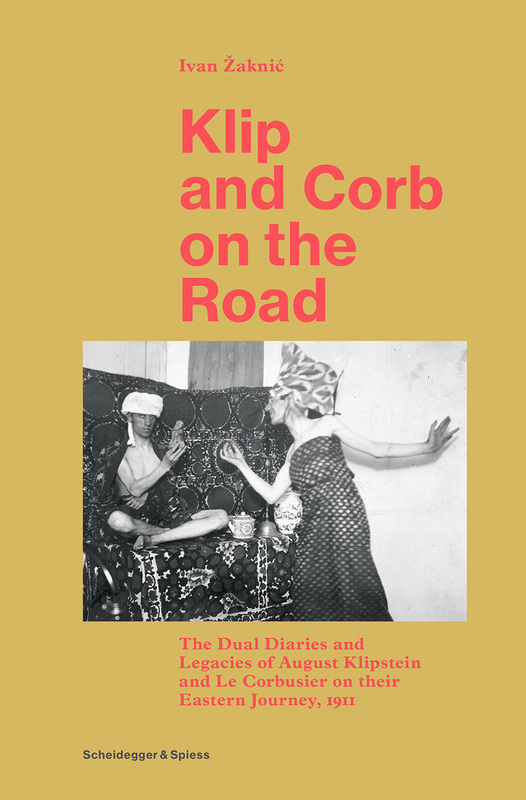 In Klip and Corb on the Road, Ivan Žaknić brings the notebooks together for the first time to explore the fruitful creative symbiosis of this friendship and offer a new perspective on this seemingly well-known undertaking. The two men sometimes address the same events or subjects—a seasick passage, the bustle of a Turkish bazaar—and even copy one another’s work. But while Klipstein’s reflections tend to focus on research for his thesis, Jeanneret’s impressions evince a more romantic mindset inspired by his immediate surroundings. Richly illustrated, the book includes copious previously unpublished material, including the complete text of Klipstein’s diary, as well as that of the correspondence between Jeanneret and Klipstein. Reintroducing readers to Klipstein, who went on to a career as a prominent art dealer, it also offers insight into a key influence in the artistic development of Le Corbusier in his formative years. The book also includes an essay by British architectural historian Tim Benton.